Although you’re busy, it’s extremely important to put sleep at the top of your priority list. Not enough of it comes with dangerous and unpleasant risks, so it’s in your best interest to go to bed at a decent hour each night and take care of yourself. The upside to getting more sleep is that your life is going to improve vastly because you won’t have to drag yourself around every day. After reviewing the risks associated with lack of sleep, it’s probable that you’ll be more motivated to alter your habits for the better and focus on what you can do to get more consistent shuteye. One risk of not getting enough sleep includes committing more errors at work. This is because you’re more likely to be forgetful and not be able to concentrate as well when you’re tired. Too many errors in a row and your job may be at risk as well. This can easily be avoided by you getting on a sleep schedule and making sure you’re attending to your self-care. Health issues such as stroke, high blood pressure and developing a mood disorder such as anxiety or depression all increase with lack of sleep over the long-term. Take time to review the many different mental health disorders that could possibly occur should you keep putting your sleep off. If you need help managing depression or a sleep disorder, then reach out to www.therecoveryvillage.com for more information about treatment options. It’s a wise idea to not get behind the wheel if you’re overtired and sleep deprived. Your response and reaction time won’t be at strong and you may even start to doze off in your car as you’re driving. You risk getting into more accidents or running into issues on the road with other drivers if you’re consistently not getting enough sleep. You may become more irritable of a person when you’re walking around and trying to function without much sleep. This puts you at risk for getting into more arguments and ruining relationships with others. You may say words or take actions you later regret if you’re tired, quick to react and not thinking straight. You’re more likely to make poor food choices and work out less when you’re sleep deprived. Also, your hormones are thrown off balance so your body may be telling you that you’re hungry when you truly aren’t. Not getting enough sleep puts you at risk of gaining weight and feeling more sluggish in general. 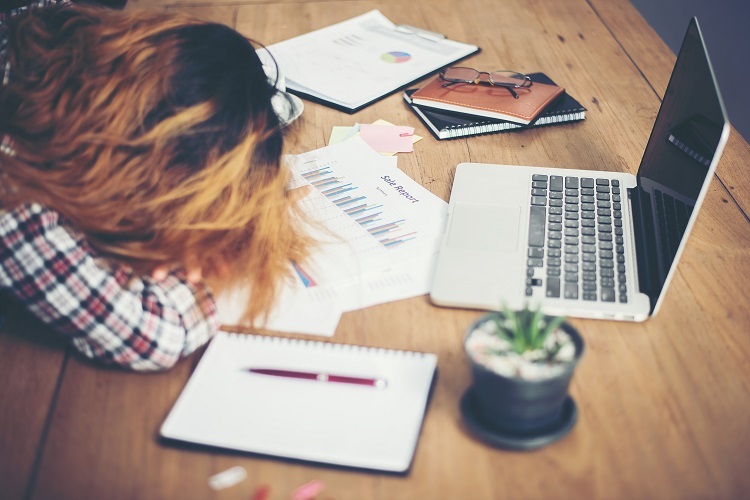 Life without enough sleep can truly be debilitating and challenging, so it’s a good idea to focus on getting the proper amount of sleep each night. You want to try to avoid these risks at all costs because they can be detrimental to your health and wellbeing. Think of how much easier and smoother your life can be if you’re committed to going to bed early and setting your room up for optimal sleep so that you can rest soundly throughout the night. Next Article How can I help my baby’s physical development?